Dr. Preston Kaenel graduated from USC School of Dentistry in 1997. Dr. Valerie Kaenel received her bachelor’s degree from UC San Diego in Biology and her Doctorate of Dental Surgery from USC. Hillcrest Top Dentist They both graduated in the top 5 of their class earning a place in OKU Omicron Kappa Upsilon, a dental honor society. Dr. Preston Kaenel chosen top dentist. We are a cosmetic and family practice located in the heart of Hillcrest, San Diego. Dr. Preston Kaenel and Dr. Valerie Kaenel are a husband and wife team. Combining education, experience, and a gentle touch, the doctors provide exceptional cosmetic and restorative dental care. The highly trained staff takes the time to personalize your dental experience, taking the fear and intimidation out of dentistry. 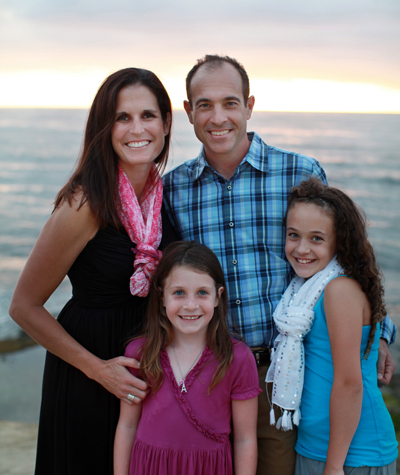 Our office is dedicated to quality, individualized care for the whole family. Through continuing education and state-of-the-art equipment, we are able to provide you and your family the high level of care you expect. The office is LATEX-FREE. It is also new, comfortable and up-to-date. There is convenient underground parking in Hillcrest. We accept most PPO and indemnity insurance plans. Our whole office team strives to make your dental visits as stress-free as possible. We are always happy to answer any questions you might have about the practice in a clear, straightforward manner. Your comfort and satisfaction are of utmost importance. Are your teeth chipped or stained? Or perhaps you are missing teeth? 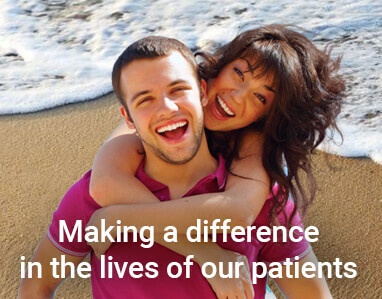 Cosmetic dentistry may be for you. 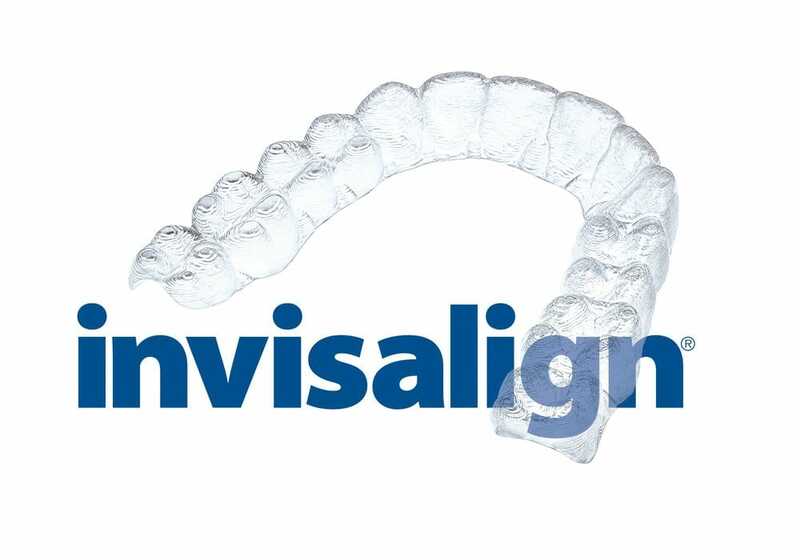 With so many new materials and procedures available today, teeth can be bleached, bonded, veneered and crowned. 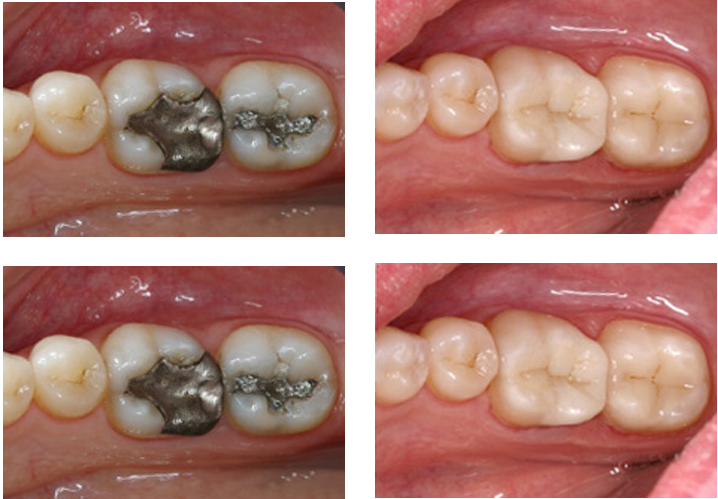 Spaces can be filled with implants, bridges or partials. We work closely with dental specialists in the area for procedures such as implant placement, oral surgery, gum surgery and orthodontics. We are a cosmetic and family practice located in the heart of Hillcrest, One visit crowns available with CEREC at Padre Dental. All-ceramic dental restorations in a single treatment appointment! No temporaries! Time is priceless, and so is your sensational smile. First off, I must admit that I am the BIGGEST baby when it comes to dental stuff but I’ve been with Dr. Preston and Padre Dental for the last 5 years because of the quality of care and level of comfort they provide. I can’t say enough good things about Dr. Preston and his staff. To start, the facility is so clean and all of their equipment is state of the art. Bobbi, the office manager, is so friendly and really treats you like you’re part of the family. It’s nice to walk into their office a few times each year and see a familiar face. Dr. Preston is excellent and really does a thorough job with all of us his work. He’s got a great bedside manner and makes you feel at ease. I see Kelly for my routine cleanings and she is a highly skilled, awesome hygienist. Scheduling appointments is a breeze and they use an automated system to send you reminders to your email or cell phone a few weeks in advance to confirm your appointment. If you’re a big wimp like me and hate the dentist or you’re looking for quality dental care then Padre Dental is the place for you.